Congress of Aboriginal Peoples (CAP) has announced the passing of former CAP National Chief Dwight Dorey earlier this morning in Nova Scotia. 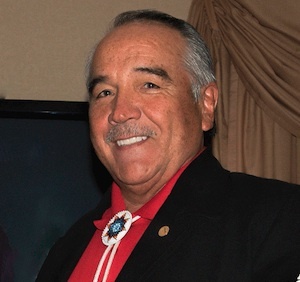 Dorey was a Mi'kmaq from Cole Harbour, N.S and served as the elected chief and president of the Native Council of Nova Scotia from 1989 to 1997. Dorey also served as senior policy advisor to CAP before he was elected to his first term as national chief in 2000. In September 2015, Dorey was re-elected as CAP national chief for a fourth term, having previously held three terms from 2000 – 2006. He had also served as national vice-Chief from 1984 to 1986 and again from 2011 to 2012. Working with his friend, late Harry Daniels (former president of CAP from 1997 to 2000), Dorey helped CAP launch its legal case, Daniels v. Canada in 1999. On April 14, 2016, the Supreme Court of Canada ruled that Métis and non-status Indians are “Indians” under section 91(24) of the Constitution Act, 1982, confirming the federal government’s fiduciary responsibility for those people. “Dwight was always willing and ready to take up the cause for the rights and interests of off-reserve Indigenous peoples throughout this country. During this time of sadness, we offer our support to his family and will remember Dwight Dorey’s accomplishments for the Congress of Aboriginal Peoples,” said Bertrand.